Garcinia Cambogia is an exiting weight loss supplement that helps block your body's ability to produce fat, reduces your appetite, food cravings and anxieties. It also keeps blood sugars and cholesterol levels normal. The active ingredient in the fruits rind is hydroxycitric acid or HCA, that blocks an enzyme called citrate lyase, which your body uses to produce fat. Garcinia Cambogia also raises the levels of serotonin in the brain, making you feel less hungry. 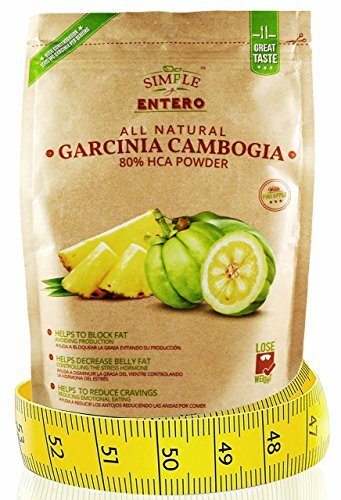 Mix 1 Scoop (Serving Scoop Included) of Garcinia Cambogia Powder with 8 oz of water,juice,smoothie or milk 3 times a day . You will get the best result if taken before meals . Not for use by pregnant ,lactating women or if you have a special medical condition . This product contains Pineapple which causes a great taste and you gonna like it . You may find cheaper products or capsules but this is a quality product and you're not gonna disappointed . SO WHAT YOU'RE WAITING FOR ? ORDER YOURS TODAY AND SIMPLY LOSE WIGHT ! If you have any questions about this product by Soft Sense, contact us by completing and submitting the form below. If you are looking for a specif part number, please include it with your message.